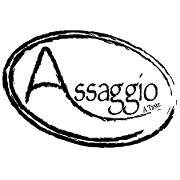 Open since 2002 and located on the historic Branford green, Assaggio offers something for every taste. The modern ambiance of Assaggio is the epitome of contemporary and stylish northern Italy. Our impeccable service complements a menu which features your favorite Northern Italian dishes with a twist of our own creative infusion, including our signature and widely renowned Chilean sea bass served pan blackened with a picked lobster risotto. Peruse Assaggio's extensive wine list-showcasing nearly 300 hand-picked varieties which are certain to satisfy any connoisseur. Assaggio offers a vast range of nightly additions to the menu-from mouthwatering Ahi tuna, to certified Angus filet mignon, which are always prepared to perfection.